Here at the Quality Inn in Durango, we want our guests to have fun, and we provide some great deals and packages to make sure you, your family and your friends have a chance to fully experience everything our beautiful little town has to offer. Take a look at some of the packages and specials below to see what is the best fit for you and your fellow travelers. Who doesn’t love skiing in the beautiful Colorado, and San Juan Mountains? Now you have a reason to love it even more when you stay with us for free at the Quality Inn after booking our ski package to Purgatory/ Durango mountain resort. February’s “Share the love” Valentines Special! The month of February brings Valentine’s Day, a holiday filled with romance and love. Here at the Quality Inn we are prepared to share the love, by giving back to our wonderful guests. Book your room with us, and we will throw in a free bottle of wine from our local winery. We know it sounds crazy, but we are going to do it anyway. We love our guests, and we aren’t afraid to show it! Ski and Stay for up to 25% Off! Who doesn’t love skiing in the beautiful Colorado, and San Juan Mountains? Book your room and ski passes together to get up to 25% off your total purchase, including discount lift tickets. Taps, Tours and Trolleys, Oh My! A pint of your choice from the Durango Brewery, only one block away from your room at the Quality Inn. 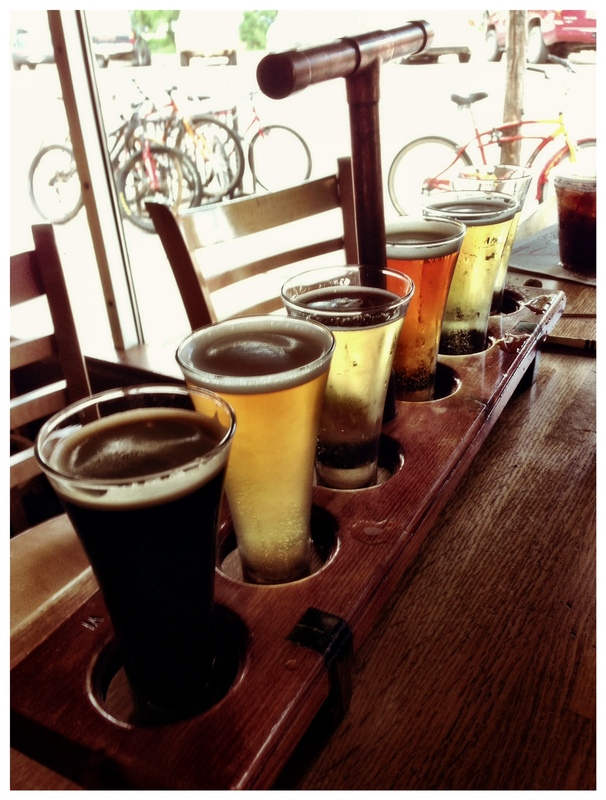 Oversized flight of six tasters from the famous Steamworks Brewing. One mile away from the Quality Inn with nearly door-to-door transportation via the Durango Trolley. A pint of your choice from the world headquarters of Ska Brewing. Enjoy the tasting room, beer garden and live music almost every night of the week and check out Ska’s new Container Restaurant, which was built from two repurposed shipping containers. Tours available daily at 4 p.m. You can also add our cruiser bikes to your package and bike from the hotel to Ska Brewing on the beautiful Durango River trail. Each package includes a brewery map with directions to all your beer destinations! Call our hotel direct at 970-259-5373 for more details, or to add this brewery package to your room. Here in Durango, there is no need to drive your car everywhere, spend forever searching for parking or lose all your change to parking meters. Avoid the hassle and reserve one of our fun cruiser bikes. Follow Durango’s Animas River Trail to all the popular destinations, park your bike in the free bike parking and enjoy all this cycle-savvy town has to offer. Each cruiser comes equipped with a basket for your goodies, a bike lock and, of course, your own personal bell to ring whenever your heart desires. Bikes are only $15 and are limited, so be sure to call hotel direct at 970-259-5373 to reserve one for your next stay. Click the link to check hotel rates and availability or call the hotel directly at 970-259-5373 to reserve your package. Add river tubes to your room and float the Animas River from the hotel through downtown Durango. We have a total of five tubes available, so be sure to reserve yours ahead of time. Tubes are only $5 per day for guests staying at the Quality Inn. Click here for Animas River tubing info and maps.